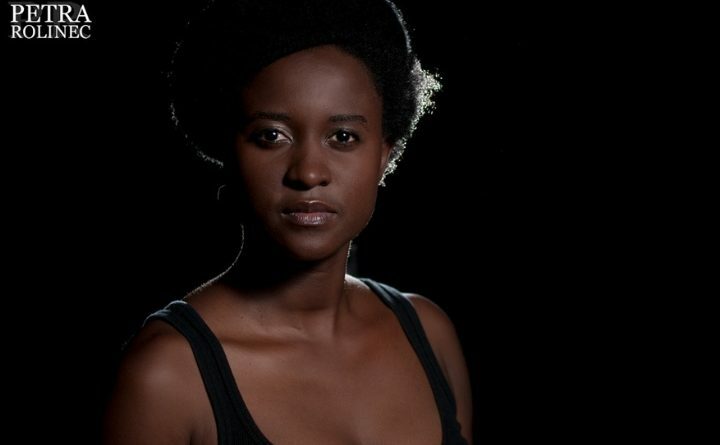 Tjawangwa Dema is a Motswana poet, teaching artist and art’s administrator. In 2018, she received the Sillerman First Book Prize for African Poetry. 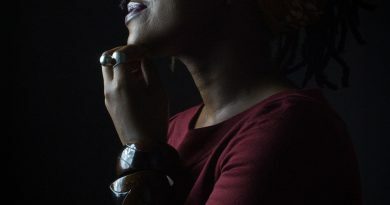 She is a New Generation African Poet whose chapbook Mandible (Slapering Hol Press, 2014) was selected for the African Poetry Book Fund’s inaugural box set. Her book The Careless Seamstress is out March 1st 2019 from the University of Nebraska Press. Dema has an M.A. in Creative Writing from Lancaster University and as a performance poet and freelance tutor she has been invited to give readings and workshops in more than twenty countries including Colombia, France, India, South Korea, Nigeria, the US and Cambodia. Her poems have been translated into languages including Spanish, Chinese, German and Swedish. She lives in the UK and works as a freelance writer and literary events producer. 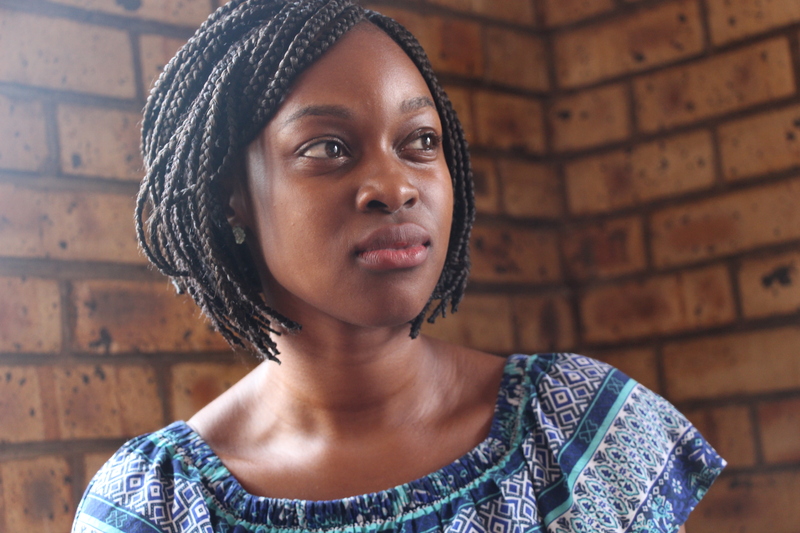 Nkateko: Tjawangwa, congratulations on winning the 2018 Sillerman Prize for African Poetry for your book-length manuscript, The Careless Seamstress. Take me back to the day you found out your manuscript had won the prize, and then come back to this moment with The Careless Seamstress no longer being a manuscript but a book in print and available for pre-order. How has this process changed you? Tjawangwa: Thank you, Nkateko. Well, I was in-between countries and visa applications when I got a call from Kwame Dawes. I expect that he offered me congratulations and explained a bit about the process going forward, no doubt, I said something vaguely appropriate while I did a jiggle that he thankfully did not witness. Memory is a strange thing, I remember the feeling of having done a thing though. A little over a year later, I have a copy of The Careless Seamstress in hand. This is not to say there wasn’t a period of revision and administration (contracts, marketing plans and such) in the interim – there was. Overall, I’m still wrapping my mind around this wonderful thing that could so easily have happened to someone else because there are so many necessary voices out in the world. How has winning the Sillerman changed me? It’s early days yet I’m tempted to say not at all but that said, for very many reasons, this is a very important prize and moment for me, I am also always trying to remain open and (within reason) malleable to the world. And having the generous and living archive that is Kwame Dawes as an editor quickly clarifies one’s ideas of the work they are engaged in. Nkateko: Kwame Dawes is incredible. I met him at the Lagos International Poetry Festival late last year and was in complete awe of him the entire time. I think I loosened up the day after the festival ended when the van taking us to the airport was parked outside the hotel entrance. I gave him a copy of my chapbook and a hug. I might have done a celebratory jiggle for reasons completely unrelated to yours. You mention that Kwame’s editing clarified your ideas of the work: how important was that process of refining the work-in-progress? Was it a case of you ripping at the work for the sake of correction/restitching, or was it a gentler procedure? Tjawangwa: This process of refining is everything, if the goal is to write a good (read: necessary, urgent, etc.) poem. Do not ask me what a good poem is, I only know one when I see or smell it, hear it coming or sense it scrambling off the stage or page. And I think that this art of making is hard to accomplish in one fell swoop. Of course, there are techniques and practices that one can learn in order to hone their instinct/gift into a skill they can somewhat summon when needed. Revision for me is intentional in ways that the original impetus to create isn’t always. I have no exact expectations of the poems I write or recite only that when I read a ‘good’ poem I know that I want my poems to do that to/with/for some reader. To resonate or rattle, to sweep around some cobwebbed thing while toppling another, to work with the listener to shift something. Gentle or otherwise, this is what this stitching and unstitching is working towards. Nkateko: In light of The Careless Seamstress being birthed from your M.A. Thesis, I am wondering about the journey that the manuscript has taken from then until now. Has it been difficult to reconcile its two identities before and after editing? 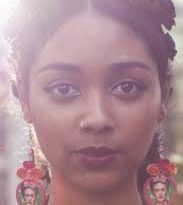 I remember reading Safia Elhillo’s asmarani first as a literature project in partial fulfilment of her MFA, and then as a book on its own, and thinking about the process, I feel everything that exists is a fragment of a bigger thing that might or might not yet exist and I have always been curious about how these fragments merge into one other and eventually become the bigger thing. How does one know that this has happened – that a work is complete? Tjawangwa: Ah, there’s that word complete. Just yesterday, I mumbled for the fifteenth time that I had seen or read something that made me feel I could’ve written another or a different poem for inclusion in The Careless Seamstress. I am invested in what I see as a poetics of enquiry, in remaining open, folding and unfolding what comes to me both in isolation and from the world. Simply put, I activate my curiosity by listening, reading as well as moving slowly and attentively through the world. You could call it research, I suppose. Certainly it is a never-ending process of mainly productive rabbit-holing and inviting or articulating questions rather than answers that fix the gaze one way. When the deadline came to submit my dissertation, I didn’t necessarily feel that I was done writing or revising and I was right; three months later when I submitted The Careless Seamstress for the Sillerman, she had changed, perhaps shifted is a better word. You mentioned Safia who is a fine, fine poet whose exciting work I give a nod to in my own collection. But as to knowing that a work is complete, perhaps each poet will have a different response to this. All I can do is share this story which will always be bigger than I can imagine because each reader will bring their own experience to bear on it. It can only ever be a fragment and that openness to entanglement makes me happier than any certainty about completion ever could. Nkateko: How did you know The Careless Seamstress was ready to go out into the world as a body of work coming from but not confined to your Masters thesis? Tjawangwa: Perhaps, poetry requires one to know what they know and to know what they don’t know. Was it Toni Morrison who said, “As a writer, a failure is just information”? I’ve read enough to interpret my own failure on the page and I know to work at addressing it. I suppose I don’t ‘know’ that The Careless Seamstress was ready to go out into the world, but I trust that I have earnestly considered all criticism given me and worked through my ideas repeatedly, always with an eye towards narrative and craft. I know that I aimed for clarity, if not some sort of thoroughly universal understanding indebted to over-simplification. I gladly share the happy burden of making meaning with any readers. As an example, I gesture to my multilingualism by incorporating Setswana words in some poems. Why would I leave it out? I produce work that is Anglophone but about as English as my great-grandmother in its cultural referents, setting or scope. The rigour and cultural distance of an M.A. undertaken with an English university help me clarified my relationship to language. Confinement is an interesting word here – in Botswana, many of us practice a kind of postpartum seclusion called botsetsi. This is when a new mother is kept in seclusion for up to a number of months. She begins this journey with a number of restrictions (my understanding is that they vary by familial or tribal practice) that can include no communication with the outside world, only being outside before everyone else has woken, not sharing bowls, what to eat, etc. A number of years ago, I interviewed a few Batswana women, at least partly expecting to hear complaints about this ‘oppressive practice’ etc. I was surprised by the number who were grateful for this period of quiet. House labour and social obligations are often limited to the child and whichever mother figure stays in residence to enforce the rules of confinement while ‘teaching’ the new mother how to go about her role. Perhaps, this has little to do with what we are discussing here but in thinking about the time new mothers can take within this structured stillness to think about their approach to the endless labour of motherhood, it came to mind. Even after I’ve birthed the thing that is the poem or book, I resist the urge to move quickly – I structure a moment of maternal stillness (to milk our metaphor) in order to hold the poem up to the light until I sense that it can stand on its own. Any permissions I give myself to abandon or publish poems come out of this space. Nkateko: I love the comparison you make between botsetsi (maternal seclusion) and the period of solitary reflection just after bringing a new book to life. However, I am wondering how that plays out in today’s culture of ‘if it’s not on the internet (or available for immediate public consumption), it didn’t happen (or does not exist).’ I have seen a situation on social media where a writer publicly accused another writer (of the same genre) of ‘stealing’ the title of her book, only for the first writer to later (again, publicly) apologise and acknowledge firstly, that the two titles were created in isolation and secondly, that a book title cannot be copyrighted. How do you, newly out of a refreshing period of confinement, deal with the sensory overload of being back in the real world where other books exist and are now being held up alongside yours to see which one reflects the light best? Tjawangwa: My American publisher comes with the book prize and they (the University of Nebraska Press) have an established avenue of book distribution. Still, I’m in the thick of thinking like a marketer – now. Now that the writing is done. When I was writing, I worked hard at not thinking competitively about what anyone else was producing. But of course, I am always active as a reader and listener, and in that sense, I feel adequately engaged with the world. I was also born long ago enough that I think of the real world as the real world and social media only as a powerful and potentially productive tool. Nkateko: I suppose the mudslinging I observed on social media can be equated to a new mother comparing the early developmental milestones of her child to those of another mother’s child, which speaks to your point about focusing on what you have created and making sure it stands on its own before looking outward. However, we do not live in isolation (even in our confinement, the rest of the world does not cease to exist) and you spoke earlier about there being many necessary voices in the world. Where does one draw the line between being engaged in finding out what the world wants/needs to hear, and the pressure to be the one to deliver the message? You often say that you can only speak from your own lived experience, so I want to ask to what extent you have woven your reality as a Motswana woman living in the diaspora into The Careless Seamstress, and how much of it looks outside of your current reality to address matters you might not be experiencing but may want to shed light on? Tjawangwa: This is a big question but let us begin here, The Careless Seamstress was written between 3 countries – South Africa, Botswana and the UK. It was always going to be a work, in that sense, that looked outside of what was narrowly familiar or comfortable or indigenous to me. I am happy to do that work. I think empathy and all its siblings – observation, noticing, listening, enquiry – are necessary tools for a writer. As human, especially as a writer, you have to practice looking outside yourself, with care and acknowledgment. Even the most personal or confessional poem must engage the myth of the universal in order to be…relatable. The ‘I’ in a poem best serves the poem when it is legion, not singular. I don’t allow myself to feel or sit with the pressure to ‘deliver’ a message – I resist that kind of prescriptiveness with everything in me. The only duty (if that is even the word for it) I feel as a writer is towards story, craft and empathy, perhaps therein lies witness. I think your lived experience includes every book you’ve ever read or conversation you’ve ever overheard, it’s the sound of your grandmother’s voice and the silly pop song you can’t get out of your head. I think we can’t be too precious about what constitutes a story worth telling. Perhaps only ask yourself why you care to tell this particular story? The everyday too, is worthy – sometimes, that’s all we have and precisely what has historically been overlooked. To me, the poet is not a historian or journalist. They are fabulists, happily unreliable narrators who trade in any combination of the real, the fictive as well as unverifiable facts. This poem rebuked me because in my own writing, I tend to italicize words that are in a language other than English, to the extent that I added a glossary at the end of my first chapbook. What are your thoughts on the italicization of non-English words, specifically Setswana in your own writing? Is there a specific way that you want readers to engage with, or make meaning with as you said earlier, the Setswana in your text beyond the aesthetic, and how do you facilitate that process? Tjawangwa: You say rebuked, I say engaged. I like the political poetics of Shoro’s lines here. That said, the Setswana words are italicized in The Careless Seamstress. Possibly as a marker to say this word is in a different (not lesser) language than the primary (by volume) language of this text. I intentionally don’t have a glossary – I think context does the job and where it doesn’t there are search engines, people and libraries and such. My whole life, I’ve had to self-translate both English and Englishness in order to move through school, society or life. It is okay to expect English readers to perform a similar labour. Clarity and communication are important to me but not so much that they encumber the performance of the text on the ear or the page – a Setswana epigraph is not immediately followed by an English translation. You’ll have to dig around The Careless Seamstress’ notes for that. I’m being simplistic here but I expect most of us to encounter many things in the everyday world that are new to us or that we don’t understand fully, yet the world keeps turning. A small part of me also selfishly likes the attention being drawn to the inclusion of Setswana words – I don’t want them to hide or blend. Look, this is a much larger conversation than you and I can fit into this conversation, but it is an important question. As a start, there are reams of postcolonial research and writing that I think, especially African or bi/multilingual, writers should engage. Who are you writing for? Are they the same as your actual audience? What intervention would you like to make? What is the consequence of convention for you? Does it matter whether your genre is longform or poetry? Ask, read, apply, assess, learn, repeat. I’m talking as much to myself here, as anyone else. Nkateko: I am in awe of the way you create a patchwork of stories from experience and observation, giving each voice a separate platform, yet acknowledging that they speak to each other and dance together as the women on the cover of the book do. It is our mutual unravelling that makes us human after all, isn’t it? Tjawangwa: You are such a poet. 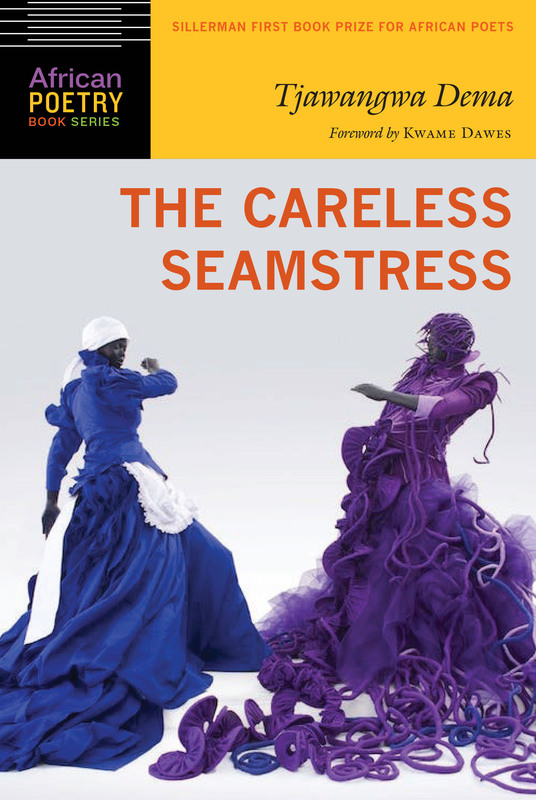 Nkateko: The cover art by Mary Sibande is so beautiful that although I am yet to read The Careless Seamstress in its entirety, I am tempted to think of the entire body of work (especially the title) as an ekphrastic poem in its honour, or of the artwork as the equivalent of a musical accompaniment. It is this sort of cover that dances off the page, makes one think they have seen the epitome of beauty, only to delve through the pages and realise that there is more beauty inside, in different shades and depths. In your cover reveal, you mentioned that you spoke to Sibande about wanting the cover to be by a black female southern African artist. Apart from those specifications, did you have a vision for the cover of your book prior to seeing the piece? Tjawangwa: Given the whole “don’t judge a book by its cover” thing, I don’t know that a writer is meant to be this excited about a book cover, but I am! Mary Sibande has found and nurtures her gift and it in turn honours her. I’m also intrigued by her process, by how with this particular series of sculptures featuring her alter-ego Sophie, she folds in her own family history and uses a cast of her own body to make the fibreglass mannequin. 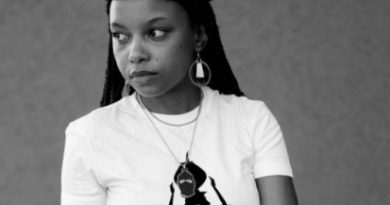 Without speaking for Mary, I believe we share certain preoccupations – the female body, ideas around Blackness, labour, resistance, class as well as re-imagining the self. Whether Mary means her work to be interventional in this way or not, it was for me when I first saw it. To be clear, I didn’t write to the image, I was just writing individual poems over a two-year period but in curating the text as a whole, I remembered her image and later suggested it to the press. Her women are not only life size mannequins, they are not foil for some other/bigger/masculine narrative, they are anything but small and beige, they are vibrant and Black and always, always beautifully loud in their motion and presence. They take up space and I wanted all of that and more to happen just by looking at the cover of the collection. I’m suddenly full of clichés but that whole ‘a picture is worth a thousand words’ really holds for me here. Nkateko: I am intrigued by your description of poets as “happily unreliable narrators who trade in any combination of the real, the fictive as well as unverifiable facts.” In the foreword of The Careless Seamstress, Kwame Dawes alludes to your ability to take on different voices when he says “…at times, the first-person speaker may well be Dema herself, or it may be some other body that she is occupying.” I was lucky enough to watch you perform at Poetry Africa in 2018 and saw first-hand how you narrate stories, first giving context when needed and then taking on the voice of the subject. When you say “The ‘I’ in a poem best serves the poem when it is legion, not singular,” I completely understand because I have seen you do it in performance and I look forward to seeing it in the pages of The Careless Seamstress. Nkateko: The book is currently available for pre-order for us mere mortals (mine should arrive in late March) but I know you have held it in your hands. Did this evoke a different feeling to when you received copies of Mandible? Tjawangwa: Pressure! The official release date is 1st of March, but a few people have recently gotten surprises in the mail because their copies came early. So, I am unreliable in that regard too! No seriously, I love hearing from people who’ve heard or seen my work, it keeps the conversation going, and after all, the poems are not meant as manifesto but as an invitation to think or feel alongside each other. As to the feeling of holding a book with your name on it, I expect that never gets old. Having recently been married, I’ve been thinking about names a lot. Mandible was published under the name “TJ Dema”, The Careless Seamstress has my full name. My mother gave me the name Tjawangwa, my last name I get from my father. It makes a kind of sense to me to move in the world – even in book form – with some sort of combination of those names. Nkateko: I am grateful that I got to speak with you before the release of the book because I know you will be extremely busy this year. I will have questions while reading my copy and I will come back to this conversation to mull over your answers again. Thank you for making time for this conversation. I know you will be on tour as soon as the book is out in March. Will you be coming back to South Africa by any chance? Tjawangwa: Nkateko, this has been wonderful and I’m certain our paths will cross again. Though my first readings will be throughout April in the States, and the amazing folks at The Gaborone Book Fair in Botswana as well as Word n’ Sound in Johannesburg have been in touch about readings in the last quarter of 2019. So, yes! I’m excited to say that I will be coming to southern Africa. We update the calendar on tjdema.com regularly so folks can always have a look at that. Nkateko Masinga was born in Pretoria, South Africa. She is a writer, performance poet, publisher, TEDx Speaker, 2018 Mandela Washington Fellow, World Economic Forum Global Shaper and 2019 Ebedi Writers Fellow. Her written work has appeared in Brittle Paper, Kalahari Review, U.S journal Illuminations, UK pamphlet press Pyramid Editions, the University of Edinburgh’s Dangerous Women Project, and elsewhere. She is the founder and managing director of NSUKU Publishing Consultancy. 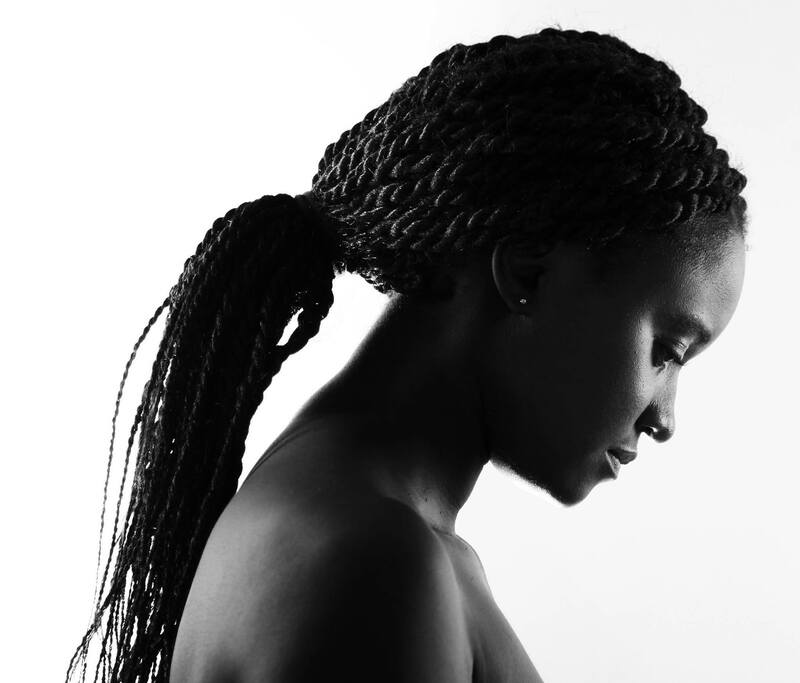 Her work has received support from Pro Helvetia Johannesburg and the Swiss Arts Council. She is currently a Contributing Interviewer for Poetry under Africa In Dialogue’s Internship Program.